​Leicester manager Claude Puel was left scathing at his side's defensive display in their stoppage time defeat at Wolves on Saturday. Despite equalising late on through Wes Morgan, the Foxes were unable to hang onto a point as Diogo Jota stole maximum points in a seven-goal thriller. After back-to-back defeats, the under-fire Frenchman admitted it was another tough afternoon for his side, who conceded four goals in a game for a second time this term. 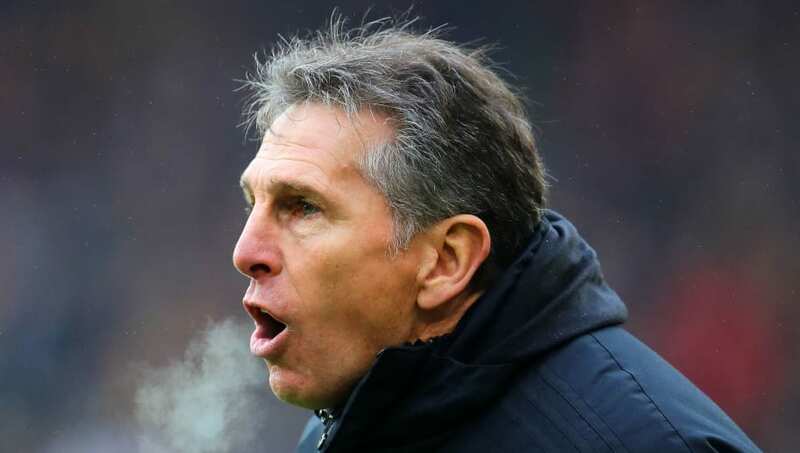 Puel told his post-match press conference, via Leicester's official website: "We were naive, naive to want to give intensity to the game and we conceded four goals away after all this emotion in counter-attacks. "We had a different feeling – positive and negative. Negative first, as we conceded two goals in the first 15 minutes. It’s crazy, and not the first time. Despite finding themselves 2-0 ​down in the first 15 minutes, the Foxes' attacking performance would have pleased Puel. Rallying through Demarai Gray and Harvey Barnes, he praised his team's spirited second half display, but admitted they must improve. He added: “It was a shame because we felt the pressure on this team. We came back in the second half with another spirit and quality. We found the draw and it was a fantastic feeling at the time.